In "Evernote, the bug-ridden elephant," Jason Kincaid, who worked at TechCrunch until 2012, described a corrupted audio recording, syncing issues, faulty browser extensions and slow customer support from Evernote. "Evernote's applications are glitchy to the extreme; they feel as if they're held together by the engineering equivalent of duct tape," Kincaid wrote, noting he's jotted more than 7,000 notes using the service. Evernote CEO Phil Libin wrote in response that although he could quibble with some of Kincaid's points, "in the big picture, he's right. We're going to fix this." Like many startups, Evernote's focus on growth meant that slowing down and focusing on details doesn't come naturally although the company started an effort to improve quality two months ago, Libin wrote. "We've made significant progress, and Evernote is measurably less buggy than it was two months ago," he wrote. 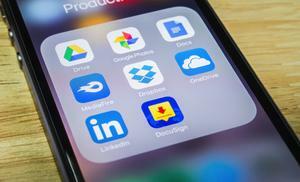 Last year, Evernote rolled out a rebuilt version of its application for iOS 7, which drew new users. But it suffered stability problems that "disproportionately" affected long-term users, he wrote. Customer support requests for iOS 7 have since fallen from 366 per day in November to 148 of late, Libin wrote, noting a rising quality rank for its application in Apple's application store. New versions of Evernote's applications will be released over the next few months, which will include better design and improvements, Libin wrote. Evernote's developers are focusing on bettering note editing, navigation, search, sync and collaboration, he wrote. The company also fixed another issue Kincaid pointed out involving file metadata that could inadvertently be sent to support staff within crash logs, a potential privacy issue. Libin wrote that a bug that created an extra copy of quick notes stored in the activity log of a user's hard drive has been fixed. Also, users will see a warning that information such as note titles and notebook names may be sent as part of log reports, but the data can be removed before sending.